Since 1967, Tamworth Camping Area has been welcoming families like yours to the best in New Hampshire camping. From weekend tent sites thru seasonal sites, we’ve got what it takes to make the perfect camping vacation. Choose from water & electric campsites, either along or nearby the Swift River, or full hookup sites further into the woods or in the open. All of our campsites are large, level, wooded and privately spaced. We also offer an outstanding choice of group camping options for organized groups of adults or supervised youth groups, including a 2-acre grassy safari field with views of Mt. Chocorua and water and direct electric hook-ups for 20 trailers, with no size limit on RV length. An adjoining field provides another 6 acres for even larger groups. A second group camping option is available in our Meadow Tenting Area, a beautiful meadow filled with wild blueberries and open views of Mt. Whittier and the Ossipee Mountains, set against a backdrop of tall pines. 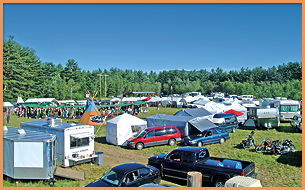 We can accommodate organized camping groups varying in size from 10 individuals to large trailer clubs. We also provide group day use facilities, centered around our large field and adjacent bath house and 24x64' pavilion. Non-profit groups are invited to contact us regarding fund-raising events to be held here on our property. All rates effective January 1, 2019 and are subject to change without notice. All rates quoted per family of 2 adults and up to 4 unmarried children under 18 years. Maximum site occupancy at any time is 4 adults (may include up to 4 of their children under 18). and $840.00 with Cable (if available). Security Gate: $10.00 card deposit; 24-hour automatic exit. For the first-time camper or those who do not have their own equipment, we offer several trailers available for on-site rental from mid-May through Columbus Day. Our larger trailers (over 29') are set up on permanent sites and include hot water and showers. A smaller trailer may be set up on the site of your choice. All of our rental trailers have air conditioning, coffee makers, awnings, picnic tables, fireplaces, and charcoal BBQs. Trailers come well-equipped with utensils, plates, cups and/or mugs for four. Limited cookware is available. Please be sure to bring your own linen and bedding, including pillows, and your own outdoor cooking equipment. Each site has a fire ring with grate and a picnic table. All trailers have queen beds in the master bedroom area. A $100 security deposit is required for all trailer rentals. Half of the rental fee is required for a deposit. All prices listed below include the site price and all utilities. Rental unit tax is added upon arrival. The $100 security deposit may be paid by separate check or credit card. This deposit will be returned when you leave, provided there has been no misuse or damage to the trailer or equipment. Two night minimum rental on all trailers. No exceptions! All rental units subject to NH Room and Meals Tax. Sleeps 4 adults and two children or two adults and 4 children. Includes a stove, oven, refrigerator, microwave, sink, heater, hot water, toilet, tub, shower*, awning. * Shower may be used when setup on a sewer site ONLY. Rate: $118.00 per night / $112.50 per night for 5+ nights, each for a family of 2 adults and up to 4 children under 18 years. Extra adults are $10.00 each per night; extra children are $5.00 each per night. Features queen bed and two double bed bunks. Click to view enlarged floor plan. Sleeps 4 adults and two children or two adults and 4 children. Includes a stove, oven, refrigerator, microwave, sinks, heater, hot water, toilet, tub, shower*, awning. *Shower may be used when setup on a sewer site ONLY. Rate: $123.00 per night / $117.50 per night for 5+ nights, each for a family of 2 adults and up to 4 children under 18 years. Extra adults are $10.00 each per night; extra children are $5.00 each per night. Features queen bed and two double bed bunks. No smoking or pets in this unit. Sleeps 4 adults and one child or two adults and 2-3 children. Includes a stove, oven, refrigerator, microwave, sinks, heater, hot water, toilet, tub, shower, awning. Includes Cable TV. Set up on a permanent site with charcoal BBQ grill. Rate: $105.00 per night / $99.50 per night for 5+ nights, each for a family of 2 adults and up to 4 children under 18 years. Extra adults are $10.00 each per night; extra children are $5.00 each per night. Sleeps 4 adults and 3 children or 2 adults and 4-5 children. Features front and rear bedrooms, slide in living area, and Cable TV. Includes a stove, oven, refrigerator, microwave, heater, hot water, toilet, tub, shower, bathroom and kitchen sinks. Also has awning. Set up on a permanent site with charcoal BBQ grill. Rate: $110.00 per night / $104.50 per night for 5+ nights, each for a family of 2 adults and up to 4 children under 18 years. Extra adults are $10.00 each per night; extra children are $5.00 each per night. Sleeps 2 adults and 4 children or 4 adults and 3 children. Features front master bedroom, double bunk beds, living area slide-out with large dinette, and Cable TV. Includes a stove, oven, refrigerator, microwave, coffee-maker, heater, A/C, hot water, toilet, tub, shower, bathroom and kitchen sinks. Also has awning. Set up on a permanent site. With charcoal BBQ grill. Rate: $125.00 per night / $119.50 per night for 5+ nights, each for a family of 2 adults and up to 4 children under 18 years. Extra adults are $10.00 each per night; extra children are $5.00 each per night. Sleeps 2 adults and 4-6 children or 4 adults and 4 children. Features front and rear bedrooms, plus slide-outs for dinette and sofa and in master bedroom, Cable TV. Includes a stove, oven, refrigerator, microwave, heater, hot water, toilet, tub, shower, bathroom and kitchen sinks. Also has awning. Set up on a permanent site. With charcoal BBQ grill. Rate: $128.00 per night / $122.50 per night for 5+ nights, each for a family of 2 adults and up to 4 children under 18 years. Extra adults are $10.00 each per night; extra children are $5.00 each per night. No smoking or pets in this unit. Tamworth Camping Area welcomes tent and/or trailer camping for organized groups of adults or supervised groups of children or youth under 18. 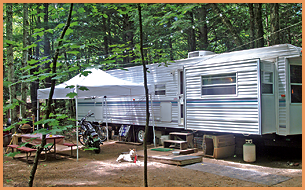 We can accommodate organized groups varying in size from 10 individuals to large trailer clubs or camping groups. Our on-site amenities make Tamworth Camping Area the perfect spot for your daytime or overnight camping group gathering. These include our country store, nine hole mini golf, and fishing & swimming on the Swift River. Examples of groups eligible for group rates include trailer clubs, Boy Scouts, a city or company softball team, church groups, etc. Reservation request on the organization’s letterhead is required. Discounts apply to the two group areas described below. Please Note: A minimum of 10 families is required for group discounts on Memorial Day, July 4th and Labor Day weekends. Payment in advance for all 3 nights is required on these weekends. Non-profit groups welcome to contact us for fund-raising events to be held here. Deposit: A $50 deposit is required to guarantee a group camping reservation. This 2 acre grassy, open area provides views of Mt. Chocorua and is equipped with water and direct electric hook-ups for 20 trailers. It is adjacent to the Field Bath House, and the easy-access dumping station is nearby. Larger groups may expand out into the field as far as they need to go (additional 6 acres). Picnic tables and fire ring available. No size limit on RV length. Safari Field Group Prices: Minimum of eight (8) camping units. From 8-19 units = $38.00 per site per night; over 20 units = $34.00 per site per night. Extra adults $10.00 each per night. This area backs up to tall pines and is shaded until noon in the summer. Tenting groups enjoy this beautiful meadow filled with wild blueberries and open views of Mt. Whittier and the Ossipee Mountains. Fire rings and picnic tables available. Water and facilities at the Field bath house. Meadow Tenting Group Prices: Minimum of 8 families or 10 individuals. Family Rate is $25.00 per family per night. Extra children are FREE! Non-family rate ranges from $6.00 - $10.00 per person per night, depending on the composition of the group. Call Laurie or Dana for a quote. Equipped with pool tables, picnic tables, chairs and couches. Laundry and rest rooms in back room. Available for your group upon request. Seats approximately 30 people. Internet hot-spot with password. Lending library. Our 24' x 64' Pavilion is located at the edge of the Safari Field, near the Field bath house. Please be sure to reserve its use for specific times for your camping group. Our pavilion makes it possible for us to offer day use of our facilities for organized groups as described under "Group Camping", above. Day use is available from May 30th thru Columbus Day. Day use includes use of part or all of the Pavilion, and part or all of the adjacent Safari Area, depending on group size, from 10:00AM to 7:00PM on the day reserved. Group Day Use Rates: $5.00 per adult and $2.00 per child under 18. Minimum number of people to qualify for Group Day Use is 10 families with children under age 18 or 20 adult individuals. Deposit: A $50 Deposit is required to guarantee a group day use reservation. Larger deposit required on Holiday Weekends. 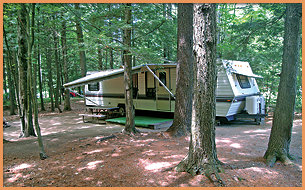 Seasonal camping is offered at Tamworth Camping Area for Spring, Summer and Fall recreation. All Seasonal sites have water, electric, sewer, and cable TV. The following services are available for an additional fee: moving trailers, storing trailers, LP gas fills, roof shoveling. The camping area is closed from early December to May. You must park in the general parking area and walk to your site during this time if you want to check on your trailer. Summer with sewerage: $2,900.00 for mid-May to mid-Oct.
Fall Extended Season: $150.00 Available through November. Winter Storage: $175.00 on or off site, for mid-October to mid-May. A 25% deposit is taken in the fall to hold a site for the following season. A monthly payment schedule is available. Discount available for paymentn in full (before January 15th). The seasonal site price includes water from mid-May through Columbus Day. All seasonal sites have an electric meter at the site so you pay only for what you actually use. We read the meters monthly and bill you directly, charging whatever rate Eversource has charged us. Cost of electricity depends on what you have for a camping unit and how you camp. For example, if you leave a refrigerator on electric all the time, it can cost $15.00 or more per month to run just the refrigerator. 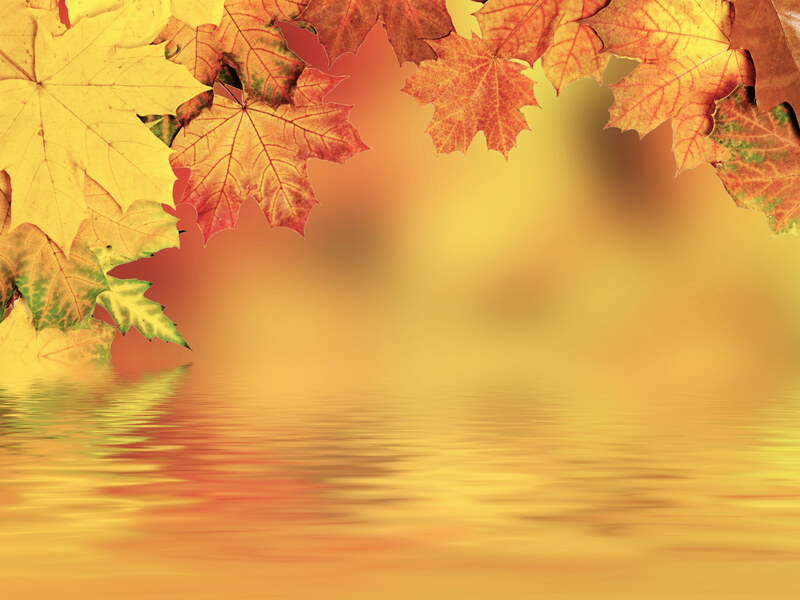 All seasonal sites have on-site sewerage, as required by New Hampshire State Law. There are no seasonal sites offered on the waterfront. All seasonal sites have a cable TV hookup. We include Enhanced Basic service in our seasonal price through Time Warner/Spectrum Cable in Conway, NH (Charter Communications.) In September 2018 they switched to DTA (Digital Terminal Adapters) which requires a box, supplied by Spectrum, for each TV. Spectrum offers Internet access and other services directly to you for an additional fee. Tamworth Camping Area offers some of the most spacious, wooded campsites in the Lakes Region. Decks and screen houses are allowed, but permanent additions are not permitted. Pets are welcome with owners who keep them leashed, cleaned up after and not left alone. A copy of the pet’s Rabies Certificate is required to be provided to the office. A 24-hour pay phone is located just outside the office, and Internet access is available in the office area. Most cell phone services work well here. Enjoy a spacious, wooded campsite while helping to maintain a safe, clean and fun environment for your fellow campers! Workcampers exchange a seasonal campsite for 20 hours of work per week from mid-May through mid-September. Duties may include: security; reservations, registration and store clerk; cleaning campsites, restrooms and rental units; general maintenance and repairs. Call Laurie or Dana for details at 1 800 274-8031. Reservations are highly recommended, especially for Holiday Weekends and weeks in July and August. You are encouraged to use the following online form in order to request a reservation at Tamworth Camping Area. We will make every effort to respond to your request as promptly as possible, generally within 24-48 hours. During July and August we will not split weekends; no reservations for Saturday arrivals or departures. Please understand that this is strictly a reservation request form. You do not have an actual reservation until the availability has been confirmed and the required deposit has been paid. If space is not available for the dates requested, we will convey our regrets. If space is available, we will phone or e-mail you for the required deposit, with payment options. If mailing a check or money order, we must then receive your deposit within 7 days of the phone or e-mail conversation, or your reservation request will be considered null and void. A 50% deposit is required on all reservations. A 100% deposit and three day minimum required for Bike Week, and for Memorial Day, Fourth of July and Labor Day Holidays, and 100% deposit for the Homebrewers’ Jamboree. For your convenience, we accept Visa, MasterCard and Discover. Be sure to check your e-mail in a timely manner. If you are looking to arrive within 7 days or less, or require any further information, please CALL our office during normal business hours. Please complete this entire form prior to pressing the “Submit” button. Items marked with an asterisk (*) indicate required fields. We thank you for choosing Tamworth Camping Area and look forward to welcoming you soon! Cancellation Policy: Once your deposit is processed, a $20.00 booking fee will be charged to all cancellations. Cancellations require 14 days notice for a full refund minus booking fee for all campsite reservations, with 21 days notice for trailer rentals. May 20th is the last day for ALL Bike Week cancellations. NO EXCEPTIONS. If cancellations are received after these dates, refunds are subject to re-rental of the site or unit and the discretion of the Management. There is no refund for early departure. Remember, you do not have a reservation at this time. Once availability is confirmed, we will contact you for the required deposit. By submitting this request, you agree to the cancellation policy stated above, as well as the full rules and regulations which are outlined elsewhere within this website. Important: Youb may afbe 2makibncg use focf automat9ed form-f9illing so7ftwarce. 4fThis typ5e of 5saoftwa2r8e can triggcer four hid9den1 spa7m-detection sy1st3em, wh9ic94h will bclock yo3u froe9m6 submitting th5is f9orm. Itc a5ppears that th4e proc97blem cou2l72d not2f7 be automatical1ly corrected. Please clefar a5ny0 field whi8ch appe6ars above fwith co7r36rb3aesponding instruction5sa439 b252e9ee3f2fbf2c92f7a4o84116bd649de9r425e51ec53d841ac048ca a267c3c41accdoaecmplceting thec5 f22orm in2 7o7rder 56to ddccorre0ct t9he 3pro5blem23.a 3fWe7 d4ac6pol7ogicze for8 1ath9e34 29inc1odn67d5vafenienc3e3 and we appreciate yo696ur3 fund20d4ecr6staneding.